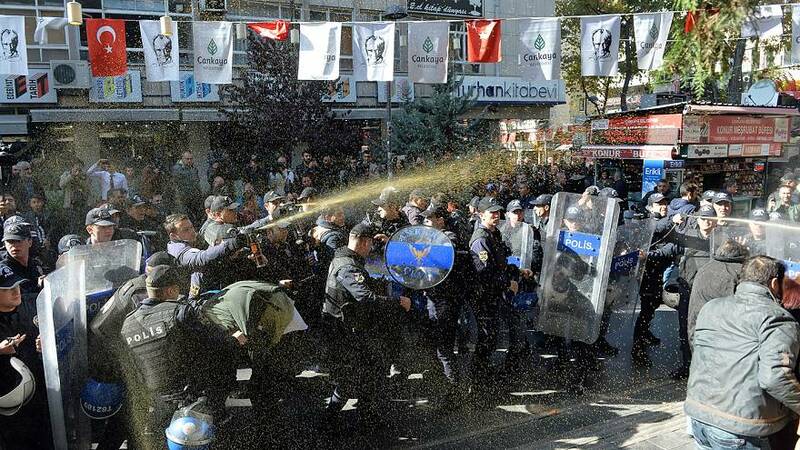 Scuffles broke out in Ankara and Diyarbakir on Friday after Turkish authorities banned a press statement in support of 12 detained legislators from the pro-Kurdish Peoples’ Democratic Party (HDP). Police dispersed the group of protesters and forcibly removed some of them from the scene. Scuffles also broke out in front of the Turkish consulate in Frankfurt, Germany.